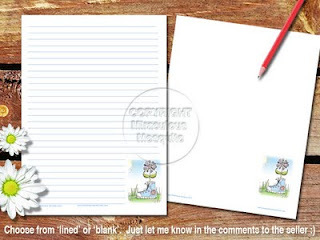 An example of one of the printable writing papers. The example in the picture features a picture taken from my colouring in book. I thought I would share this doodle with you, made by my almost 5 year old daughter. 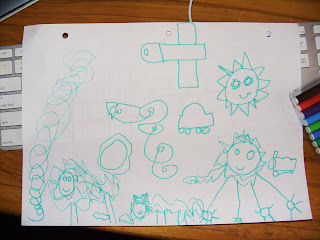 One of the first things she usually does as soon as she gets up in the morning is grab a piece of paper out of the big recyclable paper box, finds her felt pens, and starts drawing. 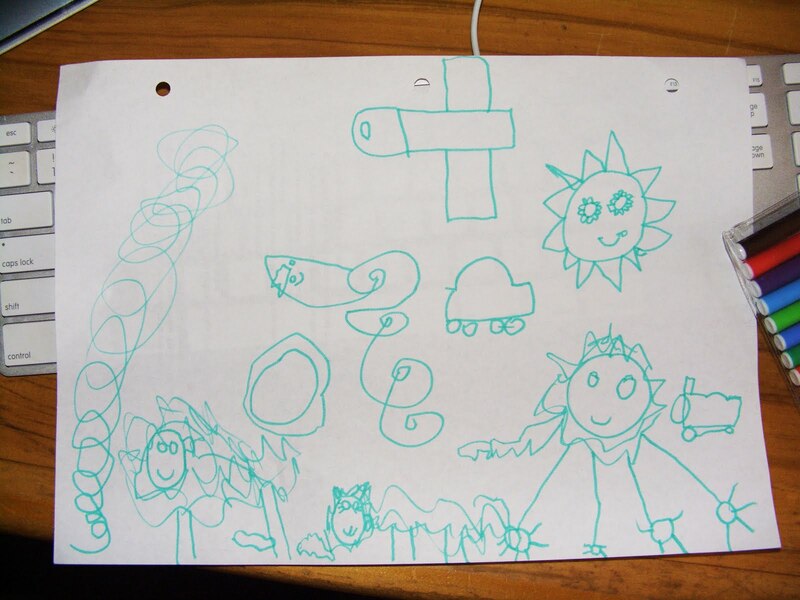 It is amazing how quickly her control of a pen has improved with all that drawing. She just loves it!